The "Pays d'art et d'histoire"
SVP ... outdoor and family activities! SVP ... Outings and events! 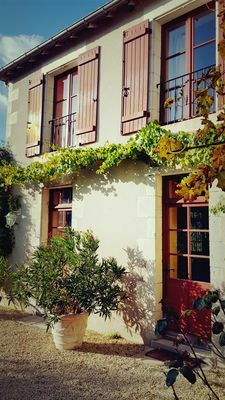 "Les Saules", a charmingly renovated former rectory, has two bedrooms and can accommodate four people. This apartment is part of "La Pilatière", a complex which includes "l'Aubépine", another apartment which can accommodate six people. That little extra something: bikes are at your disposal to allow you to explore the surrounding countryside. There is no review about Les Saules, be the first to leave one !